3 Pole - 20 Amperes 300 Volt (AC or DC). These special service trolleys are equipped with brush type copper graphite contacts. Specifically for use in applications where service is continuous or heavy duty, such as hoists, light tonnage monorails, automatic cloth spreaders, machine tools, etc. 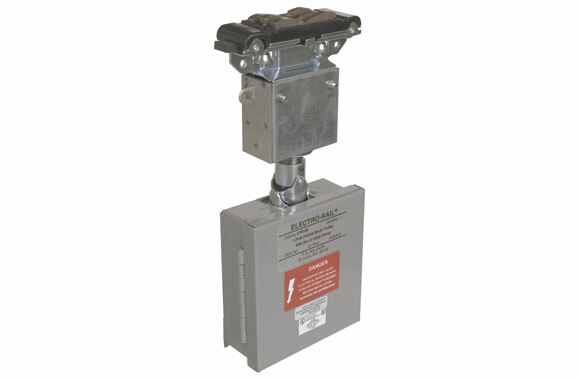 Fusible units include cabinet with hinged self-locking door with fuse block. 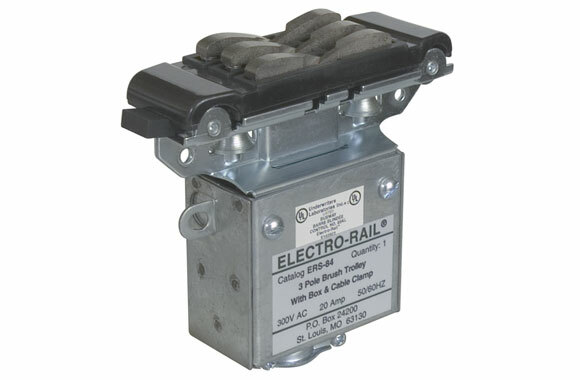 Trolleys use standard cartridge type fuses. Fuses are not included. Standard type trolley - non-fusible with box and cable clamp. Item: Non-fusible special service trolley. Amps: 20. Poles: 3. Power: 300 Vollt AC/DC. Type of Contact: Copper Graphite Brush. 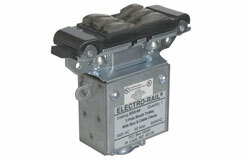 Standard type trolley - fusible with cabinet, fuse block and cable clamp. Item: Fusible special service trolley. Note: Fuses are not included. Fusible Trolleys take 9/16" x 2"cartridge fuses. Amps: 20. Poles: 3. Volts: 250 AC/DC. Type of Contact: Copper Graphite Brush.